Can fuel cells power the future? 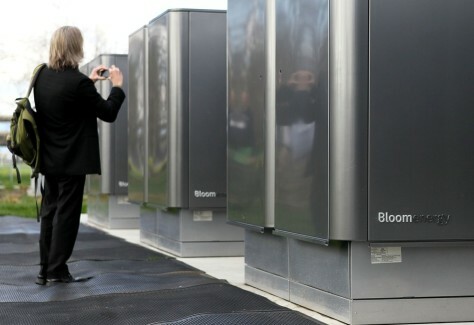 A reporter photographs an installation of "Bloom Box" energy servers at eBay's headquarters in San Jose, Calif., during the unveiling of the fuel-cell system in February. Other ventures are getting into the fuel-cell field as well.